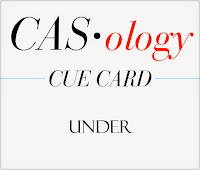 This week's CASology Cue Card is Under! I incorporated the cue card in two ways on my card. 1) the 'you' is under the 'thank' (Stampin' Up "Hey You"), 2) the whole sentiment is under vellum. I cut the vellum in a circle, to provide a bit of a subtle frame around the sentiment. The trick with vellum is to attach it to your card. Most adhesives show through the vellum, so alternative methods must be used. I chose an old (OLD) heart brad as my method. I love how the vellum softens the look of the black sentiment. Now it's your turn. Drop by the rest of the team to see even more inspiration! Clever and fun take on the cue, Ardyth! great card and great idea! Love it! Another clever, creative take on a cue card! The vellum is perfect! If I could get inside your head just for a moment Ardyth. As soon as I saw this is our gallery I though how does she think of these things! Brilliant. As for the die cuts? I usually have such a hard time lining them up, totally stamp dependent. I cut the fish first--did three, the one I used was best. Glasses ob a must, but I do have another technique--we'll chat. Very cool take on the cue word-inspired! Love how you interpreted the cue. Especially the sweet little heart. Very clever using the heart brad. Love this card. Love this graphic design, and that brad is a very clever way to adhere the vellum. This is so CAS, the brad in the center is clever. The vellum circle is such a cool touch and the heart brad is genius! Ah HA! I wondered how you attached the vellum overlay so cleanly! I didn't realize the heart was a brad...brilliant! Love this CAS card! 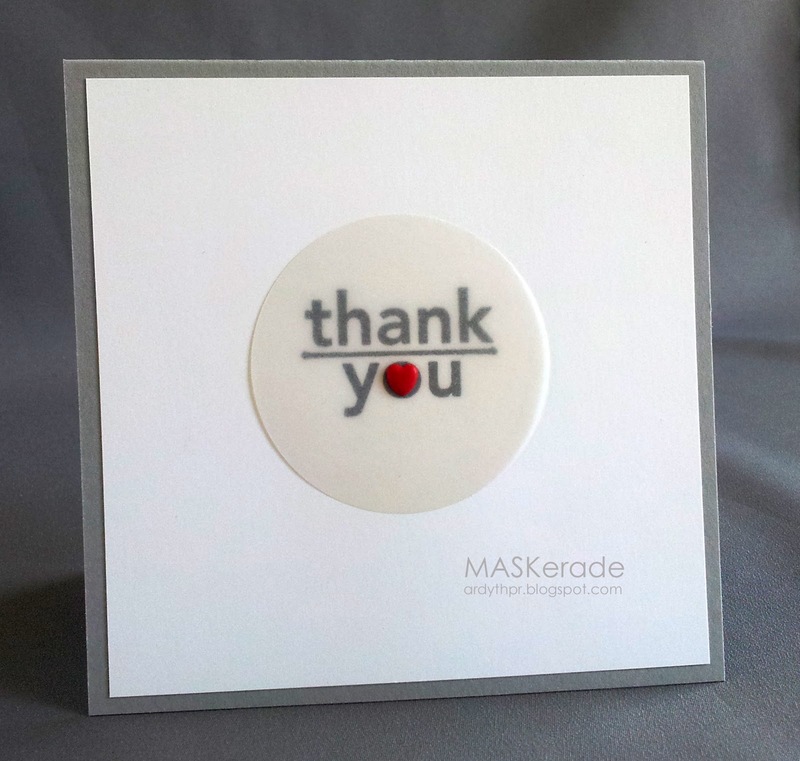 WOW - love the CAS style of this card - the vellum circle is brilliant and I am just so impressed with your card!! Clever idea to use the heart Brad, and cuutee little heart...I nearly make a card like yours...but I dont have a heart brad ...but I wanna say I love always your card on CASology always so inspiring and you have a great idea everytime..